Some attention has been given in the Hamilton Spectator (Aug.2, 2011) to the number of licensed and unlicensed private natural gas wells that exist in the Binbrook area. While the numbers may be surprising - the Spectator cites a historic list of over 150 private gas wells in the Binbrook area - the existence of this resource in our area is not a recent discovery. In fact, the availability of this resource first became known as early as 1794. William Davis settled on a crown grant of 500 acres at Mount Albion in 1792. 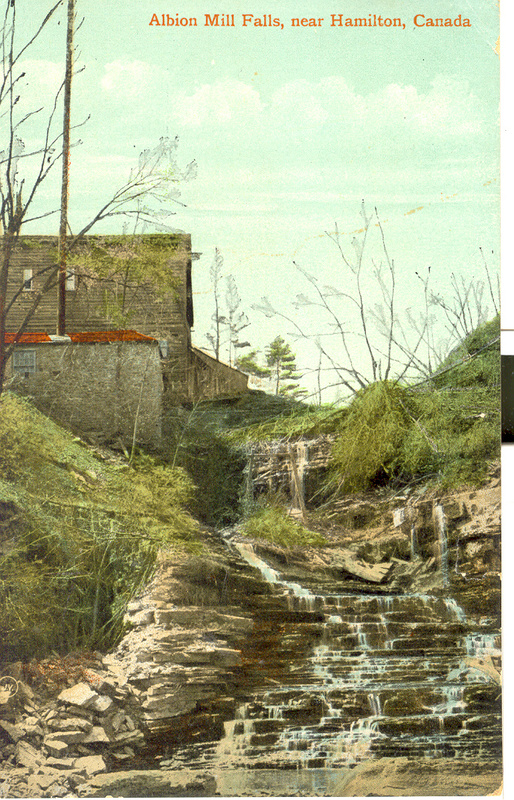 Two years later he hired Henry Van Wagner, a millwright, to build a grist and saw mill for him beside what we now know as Mount Albion Falls. In the course of excavating for the wheel-pit natural gas was encountered. According to Mountain Memories it is believed that this was "the first discovery of natural gas in Upper Canada". That natural gas was used to heat and light the mill for over a century. Albion Falls is just a few miles directly north of Binbrook. We are a new website that aspires to be a gathering place for those who love "The Mountain" in Hamilton, Ontario. We hope that you will return often.